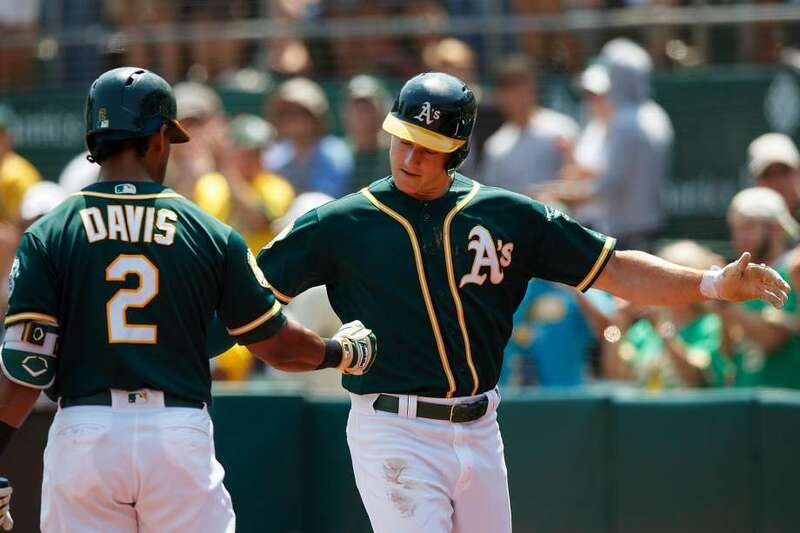 Two former Titans, Khris Davis and Matt Chapman, are playing for the Oakland A’s to start the 2019 MLB season. 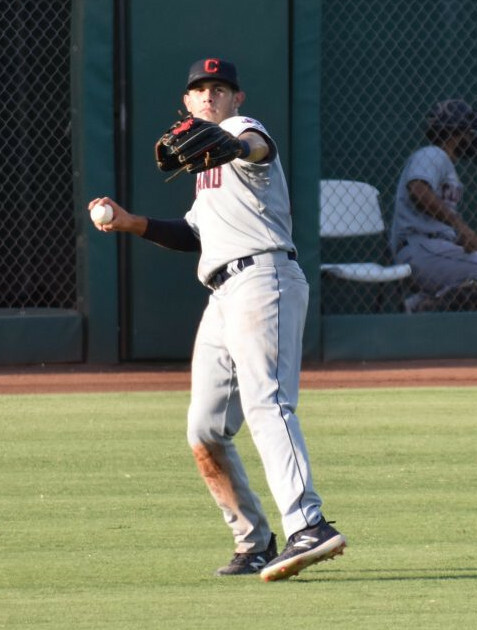 Not only does the Cal State Fullerton Titan Baseball advance to Omaha and win national championships, the program also develops and prepares players for professional baseball. From the first Titan (Dan Whitmer) to the most recent Titan (Chad Wallach), 65 Cal State Fullerton Titan Baseball alumni have played in the major leagues. 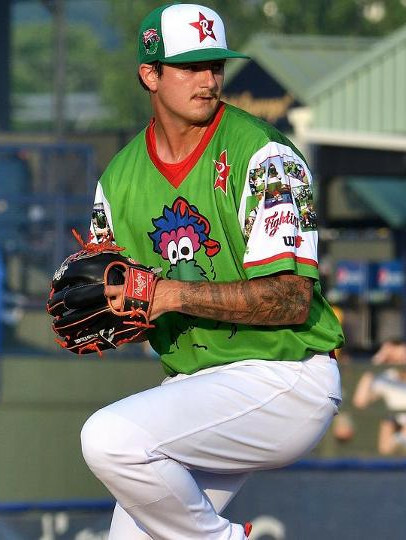 2019 marks the seventh consecutive year with at least five Titan Baseball alumni have opened the season on Major League Baseball rosters. In addition to the current players, five Titans are currently coaching in the Major Leagues as well. 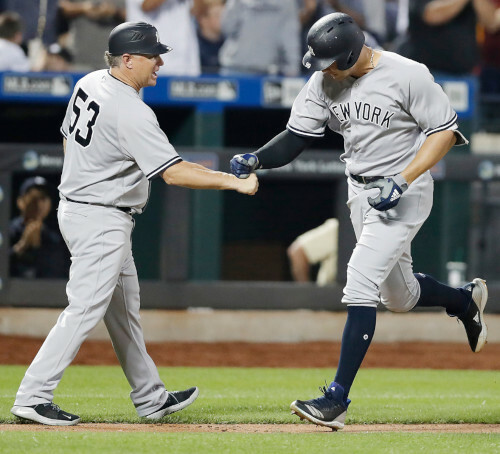 Yankees 3rd base coach Phil Nevin (L), congratulates Aaron Judge after hitting another home run. P.J. Pilittere, Phil Nevin and Mike Harkey are all members of the New York Yankees staff. 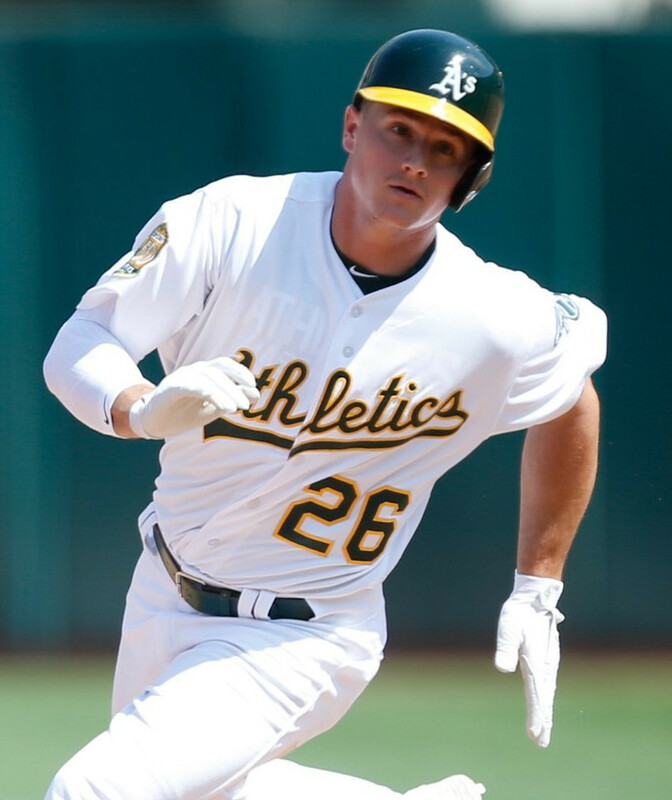 Mark Kotsay is with the Oakland Athletics serving as the quality control specialist. Tim Wallach is the Miami Marlins bench coach. 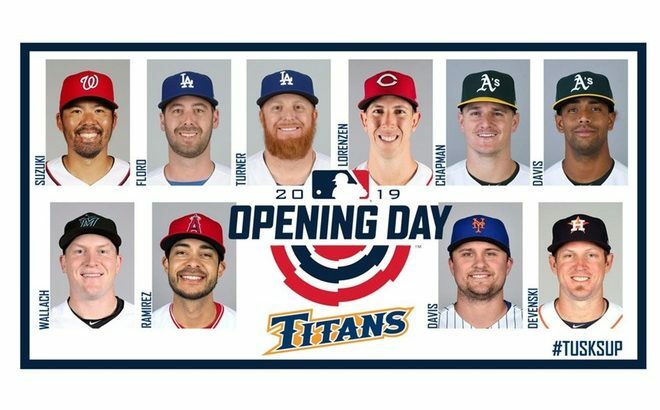 10 Titan Baseball players opened the 2019 season on the opening day rosters for Major League clubs. In addition to those 10, there are even more Titans in the pipeline playing in the minor leagues working their way towards the ultimate goal of making it to the big leagues. Below you will find the complete list of Titan Baseball alumni playing professional baseball to start the 2019 season and at what level. Listed for you convenience, the level of play is first, followed by the team the player is currently assigned, their name, position and in parentheses, the years they played for Cal State Fullerton. Click on the team to be taken to the team website. Clicking on the player’s name will take you to their profile page on the team page.